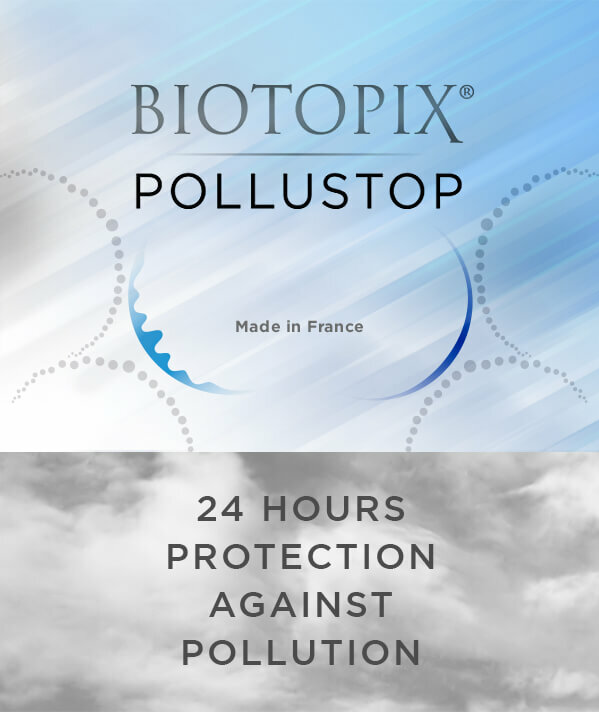 BIOTOPIX® POLLUSTOP® ARE TWO novel conceptS based on the necessity of using 24 HOURS SKIN protection AGAINST environmental POLLUTION. THE Skin CAN BE regeneratED after exposure to pollution. 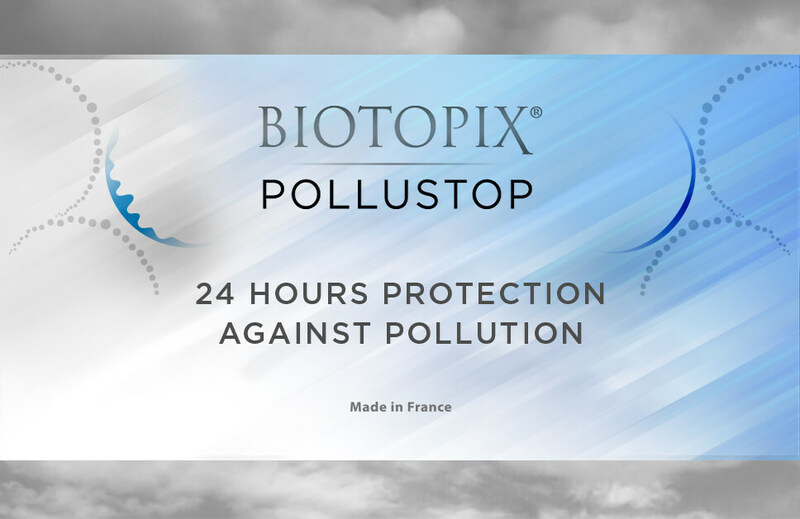 Highly moisturizing formula containing a unique complex of active ingredients designed to form a protective film on the skin surface for an immediate shield effect against micro particulates. 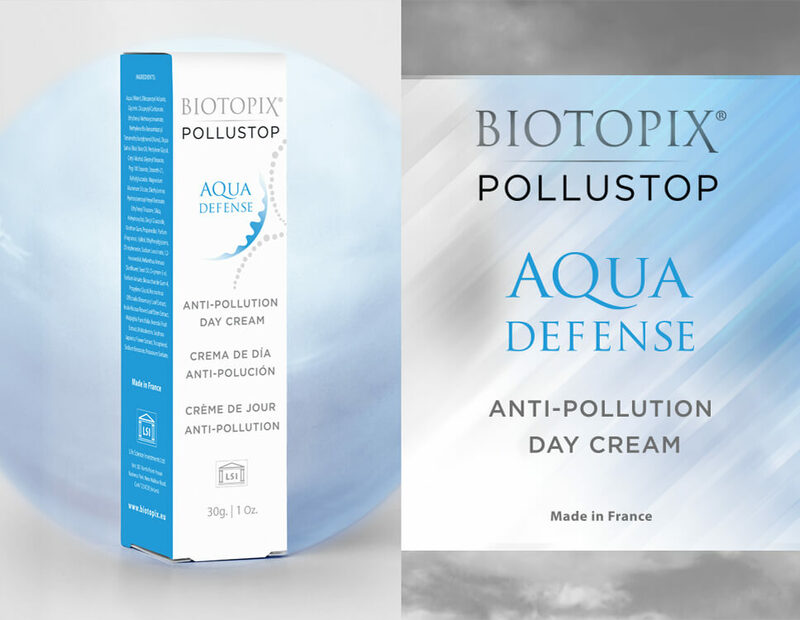 In the morning, on the perfectly clean skin, apply BIOTOPIX POLLUSTOP Anti-Pollution Day Cream and slightly massage to permit its complete penetration. Makeup is possible after complete penetration. Skin regeneration after exposure to environmental pollution. Serum boosting the biological mechanism in the skin limiting the inflammatory process and the production of free radicals induced by daily exposure to UV rays and air pollution. 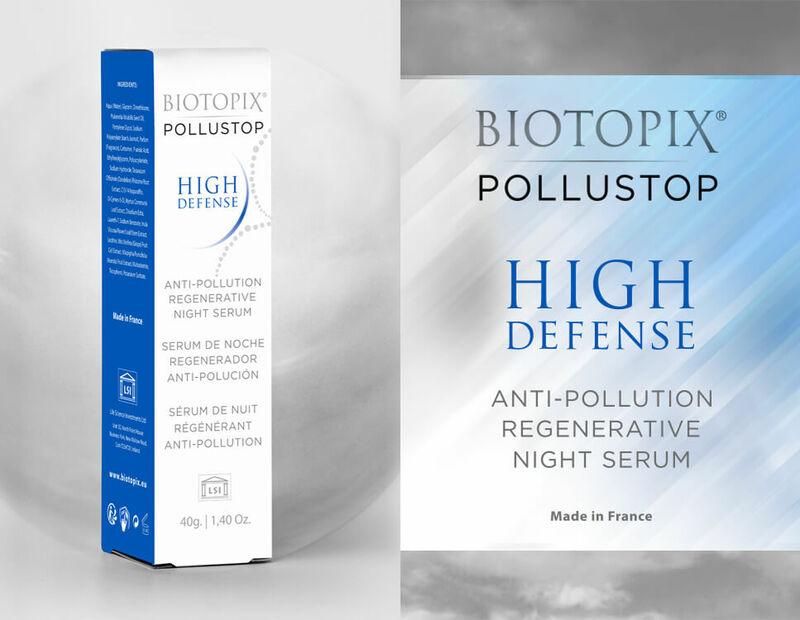 At night, on perfectly dry and clean skin, apply BIOTOPIX POLLUSTOP Anti-Pollution Regenerative Night Serum and slightly massage to permit its complete penetration.